David Bradford will discuss the birds of Southeast Arizona that can be seen during July and August. This is the height of hummingbird migration and 12 or more species can be seen in a week's time. He will describe some of the mighty "sky islands", hot, dry deserts, and lush riparian habitats which harbor some of Arizona's finest birds. David is a past chair of the Ornithology Group of Houston, a past board member of the Houston Audubon Society, and presently the Executive Vice-President of the Outdoor Nature Club. He is also a tour leader for Penfeathers Tours. 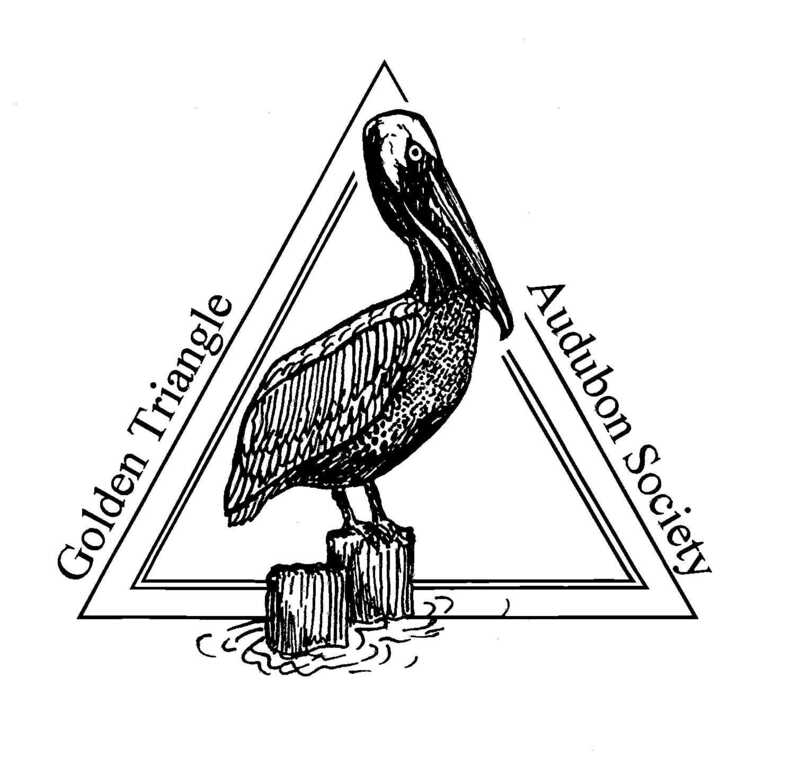 The Golden Triangle Audubon membership meeting held on Thursday, February 17, 2000, started off with a great social time and gumbo provided by Pat and Don Jeane. It was very good! Thanks to everyone that brought refreshments. Charles Post was our speaker that night. Don and I met Charles and Jackie when we attended our first Lower Trinity Valley Bird Club meeting several years ago. I believe Charles was serving a two-year term as president at that time and he is a charter member of the club. For as long as we’ve known Charles he has shown a special interest in bluebirds. Charles presented a wonderful slide show program entitled “On the Road to Recovery”. Because of the efforts of many people putting up bluebird boxes and maintaining bluebird trails, it appears that the bluebird is making a comeback. There are three species of bluebirds that live in North America: Eastern, Western and Mountain. Check your field guides out for the differences in the three species and their ranges if you are not familiar with them. Bluebirds are secondary cavity nesters, making their nests in old woodpecker holes, holes in old dead trees and manmade nest boxes. Charles has maintained a Bluebird trail since 1989, monitoring Bluebird trail since 1989, monitoring 50 to 60 boxes in and around Liberty. With grant funds, several members of the Lower Trinity Valley Bird Club built 115 boxes that Charles coordinates the monitoring of each year. The monitoring results are sent to the North American Bluebird Society, which Charles is a member, and contributes to their nest-monitoring program. Charles provided very good information concerning bluebird history, habitat, mating, eating, nesting, pests and predators, banding and monitoring boxes. Bluebird boxes are not only just for bluebirds but several other welcomed birds could use the boxes. These include tree swallows, chickadees, titmouse, wrens, White-breasted Nuthatches, and flycatchers. Besides providing bluebird boxes, you might attract bluebirds to your yard by providing water. Charles’ last slide was the sun setting on a bluebird box; but hopefully by continuing to put up bluebird boxes we will continue to have more and more bluebirds and the sun will never set on the last bluebird. Charles, thank you so much for sharing with us your slides, interest and knowledge about bluebirds. Don and I are very lucky to have bluebirds in our neighborhood. We have had bluebirds at our birdbath and hopefully one day we will have some nesters. There was very good attendance and participation at this meeting and I hope to see everyone again on Thursday, March 16, 2000.